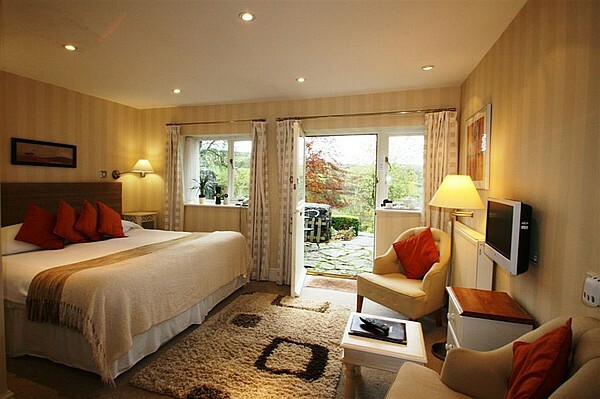 An award winning coutry house hotel with an AA rated two rosette restaurant set on the Shropshire Welsh border. 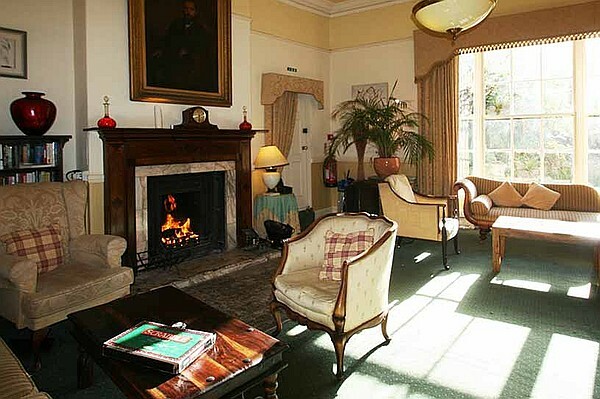 This former rectory is now a stunning country hotel set in the beautiful Shropshire / Welsh border countryside mid way between Shrewsbury and Chester. The hotel has won numerous awards including Johansen’s Best Value Hotel Award in 2011 and the Good Hotel Guide “Country Hotel of the Year” since 2004. It has also been awarded the Tripadvisor Certificate of Excellence 2010, 2011 and 2012 and named as the Rural Retreat of the Year by the Which Hotel Guide. The hotel has an idyllic position looking towards the Welsh mountains to the west giving you a perfect spot to enjoy the sunset and a pre dinner drink. It is ideal for dogs as it is tucked away from busy roads, has five acres of private land as well as a neighbouring 100 acre wood to explore. 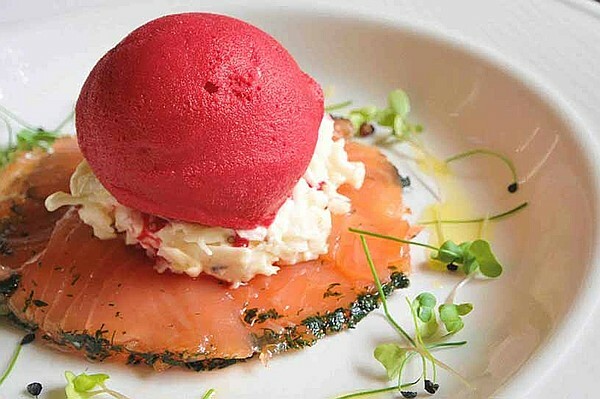 There is a popular AA two rosette awarded restaurant at the hotel which prides itself on serving locally sourced seasonal produce accompanied by a fine wine from the extensive wine list. There is also complimentary tea and cake which can be enjoyed in the hotel’s public rooms or in the luxury of your own bedrooms or patio. And as if the luxury of the hotel and restaurant wasn’t enough there is even and in house holistic therapist offering a range of different treatments. Special offer rates are available for last minute bookings, details are given below. The twelve bedrooms are individually decorated and have varying luxury facilities from private patios and spa baths to double Jacuzzis. All the bedrooms are en suite and are equipped with Wi-Fi, trouser press, tea and coffee making facilities and private telephones. 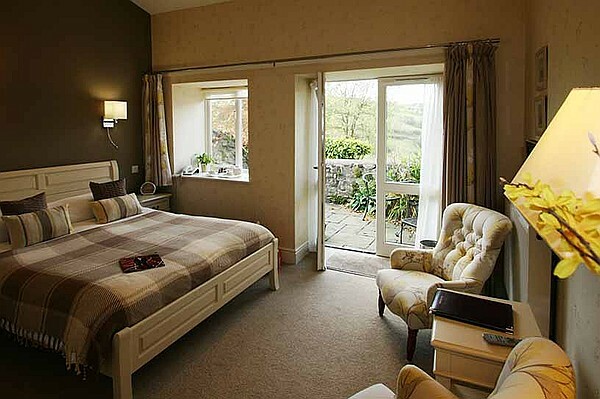 Many of the bedrooms have great views of the garden and surrounding countryside. The head chef and his team pride themselves on providing healthy, seasonal, locally sourced and where possible organic meals. Game is often a highlight of the daily menu’s as the hotel as its own tame deerstalker! Every daily menu has at least four choices for each course and is served with canapés and a surprise appetiser. As the food is prepared freshly each day special dietary requirements can easily be catered for. Shrewsbury – The attractive medieval timbered market town of Shrewsbury is 45 minutes away. Within the town there numerous winding streets and over 600 listed houses and even a castle to explore. Ludlow – A thriving market town has become well known for its love and the quality of food available. There are numerous excellent restaurants and in September each year there is the Ludlow Food and Drink Festival. Powis Castle – Is a National Trust property with stunning views from its terraced gardens. The gardens and surrounding dear park are a pleasure to explore as is the homely yet grand house itself. Attingham Park – Is a further National Trust property which has undergone extensive renovations in recent years and hosts an impressive selection of art. Chester – Is a 45 minute drive away and is a medieval City with many timbered buildings. Pistyll Rhaeadr – Is Wales’s largest waterfall and is a short drive away from the hotel. The waterfall is just a short walk from the car park and is a “must see” when staying at the hotel. Golf- Within a 20 minute drive of the hotel there are six excellent eighteen-hole golf courses. The hotel can arrange discounted rates at some of the courses. 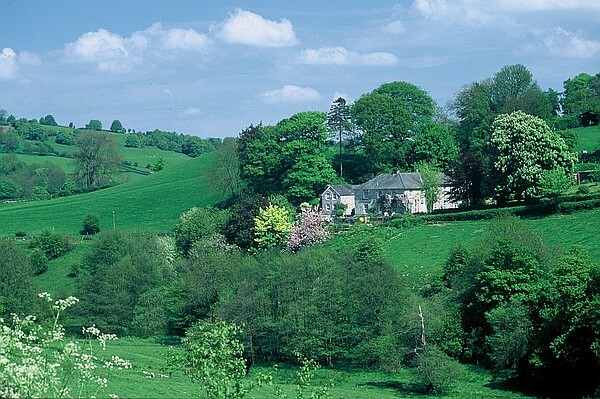 Walking – The hotel is ideally situated so that you can enjoy stunning walks from the doorstep. There is a walking guide available detailing a wide range of walks from a quick half hour stretch of the legs to all day strenuous walks in the surrounding mountains. With Offa’s Dyke only a mile away from the hotel and an 100 acre woodland next to the hotel you will never be short of walks to do during your stay. We try to keep things as simple as possible but we do have a couple of requests which we would be grateful if you adhere to during your stay. Please ensure dogs are kept out of the public rooms after 6.00pm. Pets can be left unattended in the bedroom whilst you enjoy your dinner on the assumption that you are confident of their behaviour. If you have any concerns regarding this please leave them in the car whilst you are eating. Please ensure your pets do not go on the beds or furniture. We suggest you bring a dog-bed and some towels with you. Please clean up after your dog by using the “scoop-and-bin” in the hotel grounds. 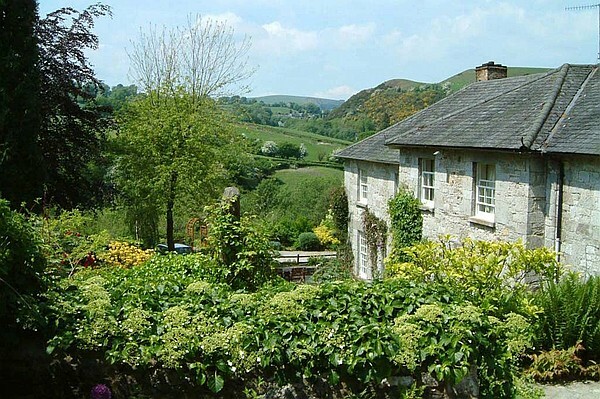 Stay in this multi-award winning hotel in the beautiful Shropshire hills at these discounted prices. Price represent up to a 25% discount from our rates and include a four course dinner each night, a £10.00 voucher to spend on drinks, wine or on one of our many in-house spa treatments and complimentary tea and cake by the fire on arrival. 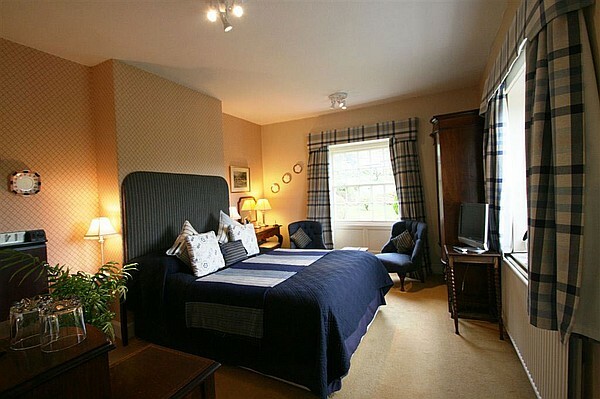 Dinner, Bed and Breakfast and complimentary High Tea on arrival. Children can be accommodated in the bedrooms on a camp bed at a charge of £35pn B&B. Childrens menu’s are available and start at £10. We do not take children under the age of 3. Reservations are confirmed with a deposit of £25 per room per night. This will be refunded in full if more than two weeks notice of cancellation is given. If cancellation is given less than two weeks before your arrival date you will incur a charge of 75% of the full value of your booking unless you rebook within six weeks of your original stay. If we are able to re-let your room there will be no cancellation charge. The hotel offers cancellation insurance which we strongly advise.